A flavourful blend of rice, vegetables, pieces of pork cutlet and/or shrimp, according to your order. Tasty and filling, stamina rice is an energy-giving meal rich in protein. 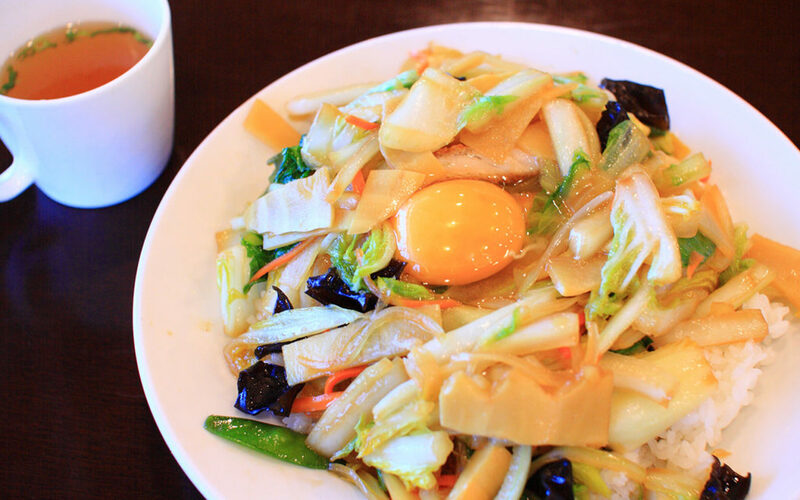 New Kaori chefs invented this dish, typical of Nemuro's cuisine.